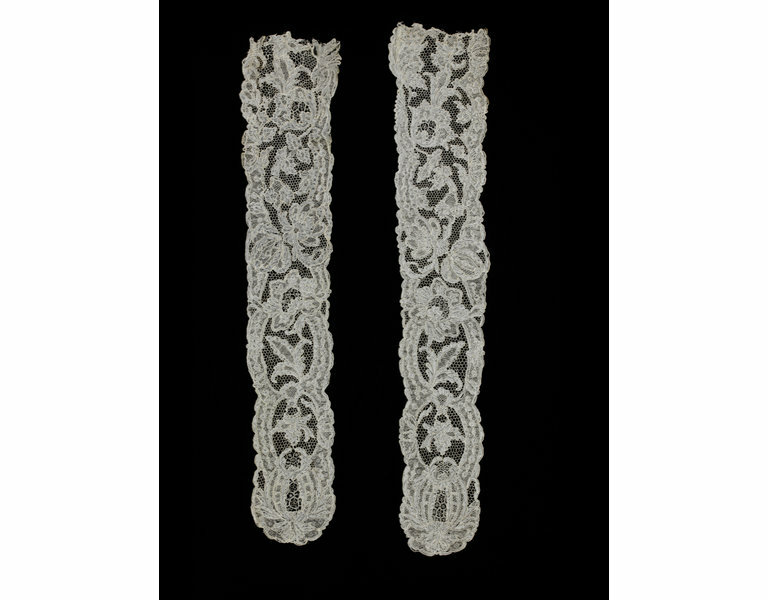 Among the various items of Englishwomen’s fashionable dress for which lace was used in the 18th century, the lace head was a particular focus for the display of wealth and taste. 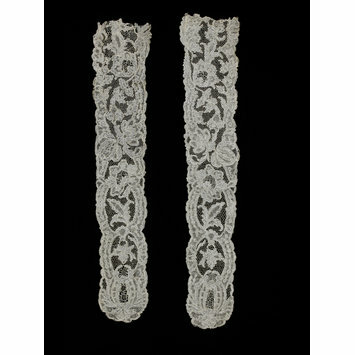 The quality of the lace, the excellence of its design and fine workmanship, and thus its likely expense, would be immediately apparent to observers. 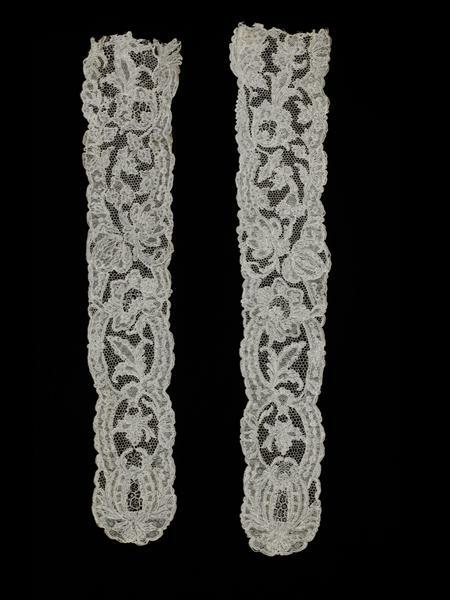 Each lappet worked in needle lace, with slightly scalloped edges and rounded end. The design is of stylised floral forms on a fairly open ground.